With no equipment needed and over 900 workout variations, Freeletics is your ultimate fitness planner - join our community of over 29 million users, and get started now! 1. Enjoy 10-30 minute workouts based on bodyweight only. 2. Use our tutorial videos to help you train right. 3. Beginners and advanced athletes welcome! Subscribe to The Coach and get access to all Freeletics Training Coaches - Bodyweight, Running and Gym, without any additional subscription fee. That’s right. 1 subscription, 3 different Training Coaches! The download and usage of Freeletics Bodyweight is free of charge. Get your training plan and further features with the Coach, which is available in the app with a subscription. If you decide to subscribe you will pay the price set for your country, as shown in the app, and payment will be charged through your iTunes Account at confirmation of purchase. Your subscription gives you access to all 3 Freeletics Training Coaches - BodyWeight, Gym and Running, without any additional subscription fee. In order to use your 2 other training systems, download the Freeletics Running and Freeletics Gym Apps on the AppStore. The subscription automatically renews if it is not cancelled within 24 hours before the end of the current subscription period. Your account will be charged for the next subscription period up to 24 hours prior to the current subscription expiring. It is not possible to cancel an existing in-app subscription. You can disable the automatic renewal function at any time by adjusting your account settings. Note: Prolonged usage of GPS can impair the durability of a rechargeable battery. IMPROVED: We've made our GPS more accurate for long-distance runs. Sometimes getting into shape requires a gentle nudge. This immersive fitness app provides just that. Its bespoke regimes incorporate a vast slew of exercises to help you achieve your specific goal and can be further tailored by a paid-for coach. Crucially, they all come accompanied by glossy how-to videos. And they’re much needed: the 15-45 minute workouts—many of which can be completed without equipment or an awful lot of space—are tough and incredibly effective. There’s also a thriving Freeletics community (housed within a gorgeous Instagram-like design) waiting to share routines and spur you on/guilt you into another workout. Honestly this is one of the best Apps ever. 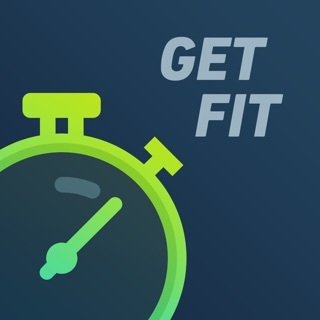 In my line of work I already workout every week Day in the morning but I decided to give this app a try for my evening workouts when I am bored with nothing else to do. I was super impressed after the first workout. Every workout or exercise will have you sweating if you actually put in the effort. For someone such as me who feels in shape this app makes me want to do better because it changes my perspective of what being in shape is. I was kind of disappointed when I found out that I needed to sign up for a coach to use the workout daily plan function but to my surprise it was unlocked today when I opened the app. I am actually happy that even without signing up for a coach there are still plenty of workout sessions to choose from or you can go with the single workouts. Thank you guys for offering this awesome app thumbs up. I really like this app. I use to do CrossFit and the fact that there are some set workouts were you can save your scores is really motivating. I love there is pretty much everything you would do without bars or equipment. It does have the muscle up/pull up option which is cool. What would make it perfect? 2. The social aspect is great. I love to see my friends’ scores and try to beat them. But the problem is that when you click to see a workout they posted, there’s no way to see the workout itself. You have to go to workouts and look for it. That seems to darn cluncky to me. It would be also nice to see everyone’s score once you click on a post to see the comparison not only with me but the rest of my friends. 3. I wish I could skip the cool down because I actually add a yoga lesson after Freeletics. So that is my cool down.